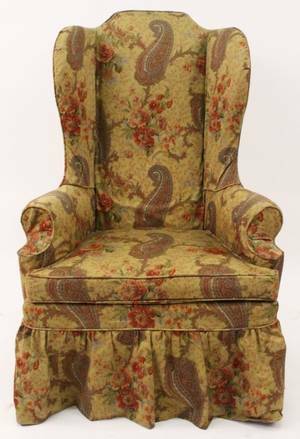 Queen Anne-Style Upholstered Mahogany Armchair and a Rococo-style Needlepoint Upholstered Stained Footstool. 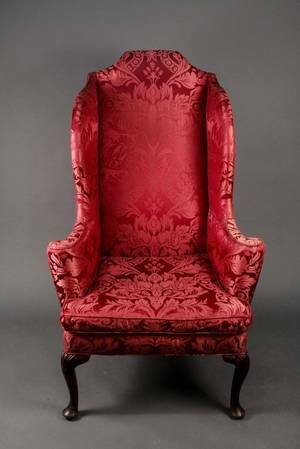 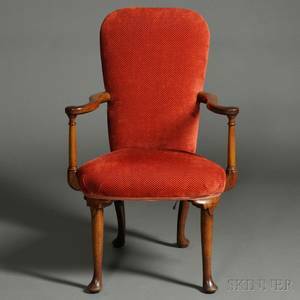 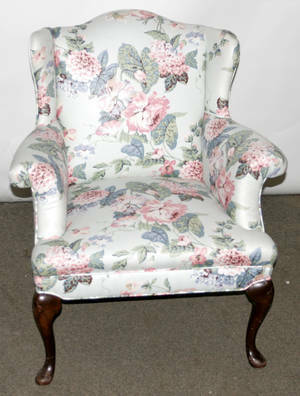 Queen Anne Style Upholstered Mahogany Armchair. 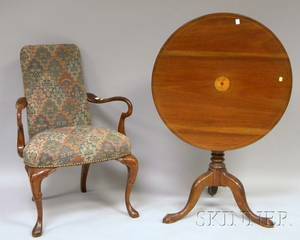 Chippendale-style Inlaid Mahogany Tilt-top Tea Table and a Queen Anne Style Upholstered Carved Walnut Armchair. 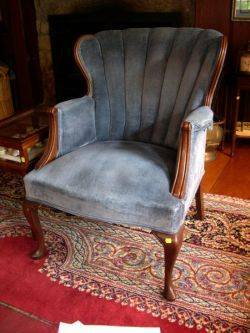 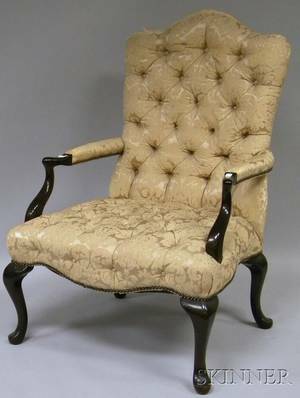 Queen Anne Style Upholstered Mahogany Library Armchair. 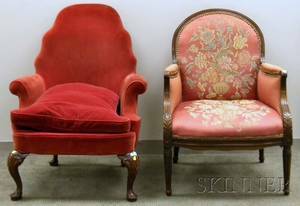 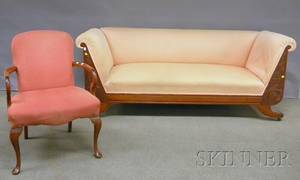 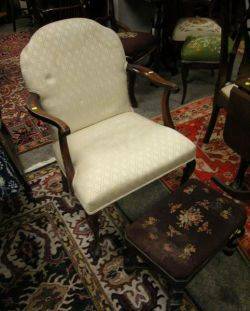 Set of Three Tile-inset Iron Stands a Queen Anne Style Upholstered Armchair and an Ottoman.